Erica Monique Atkins-Campbell is a singer and reality television star, born in Inglewood, California USA on 29 April 1972, and is perhaps best known as the second member of the popular contemporary gospel music duo “Mary Mary”, along with her sister, Trecina “Tina” Atkins-Campbell. Erica is also famous for her reality show “Mary Mary” which began broadcasting in 2012. 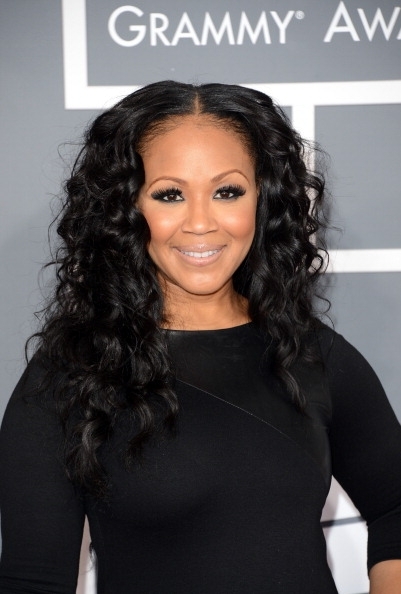 Have you ever wondered how rich Erica Campbell is? According to sources, it is estimated that Erica Campbell’s overall net worth is over $10 million, most of her wealth having been earned thanks to her singing abilities, particularly the success of the duo with her sister. After numerous appearances on TV and especially after her own reality show was released, her net worth has continued to grow. Erica was born into a big family of nine children. Both parents were very religious, their mother being a choir director in an Evangelist church and their father an elder in a protestant church, so it is no wonder that Erica and her sister later devoted themselves to making gospel music. As children, all of the Atkins-Campbell siblings were guests on the “Bobby Jones Gospel” show, and Erica herself quickly started taking part in church choirs, gospel shows and TV productions. When it was time to decide about her interest in further education, she chose to study voice at “El Camino College”, although she did later admit having some difficulties in between the academic music studies and popular music. As she was closest in age and interests to her sister Tina, the two eventually formed the gospel duo “Mary Mary” in 1998. Their meeting with the producer Warryn Campbell led to the sisters’ deal with EMI music conglomerate, and a list of songs which became parts of soundtracks for movies like “Dr. Dolittle” (1998) and “The Prince of Egypt” (1998). The fame of the duo rose rapidly. Their debut album “Thankful” (2000) reached no.1 on the US Gospel chart and was certified platinum by the RIAA which added significantly to Erica’s total net worth. The sisters compiled six more successful albums, earned 11 nominations and won four Grammy Awards, two American Music Awards, three NAACP Image Awards, a Soul Train Award and a BET Award. In 2013, Erica decided to start a solo career and express her own identity through music. She released her first solo album “Help” in 2014 for which she received two Grammy awards in 2015, again increasing her net worth. Apart from her popularity gained in music industry, Erica is also well-known as a participant in her show “Mary Mary”, which follows everyday lives of her and her sister. The show was premiered in March 2012. In her personal life, Erica Campbell married the platinum-selling producer, Warryn Campbell in 2001, with whom she has three children. The couple have founded the California Worship Center, their own ministry, which is currently operating out of James Madison Middle School in North Hollywood. 3 Sister of Tina Atkins. Doctor Dolittle 1998 writer: "Dance"
2015 Image Award Image Awards Outstanding Gospel Album (Traditional or Contemporary) Album: "Help"
America's Next Top Model American music Aretha Franklin California Charlotte Cissy Houston Dave Grohl Dr. Dre Elvis Presley Fleetwood Mac Foo Fighters Gospel Grammy Award Grammy Award for Best Gospel Song Haim (band) Inglewood Mary Mary Mitchy Slick Music NAACP Image Award North Carolina Product placement Reality television Singing Stevie Nicks Sweet Inspirations Television Television program Urban contemporary gospel Warryn Campbell Wealth Whitney Houston Yeah!